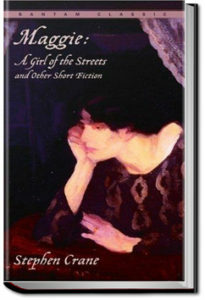 Stephen Crane’s first novel, Maggie: A Girl of the Streets has been called “the first dark flower of American Naturalism” for its distinctive elements of naturalistic fiction. The chief character, Maggie, descends into prostitution after being led astray by her lover. Rather than focusing on those that make up the very rich or middle class, the novel highlights the deplorable living conditions of the working class during the so-called Gilded Age in New York’s Bowery.